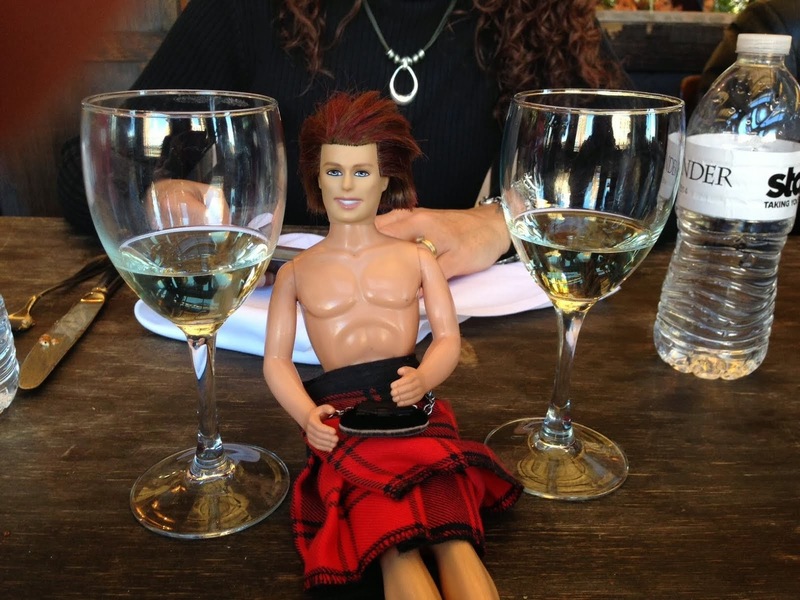 My OUTLANDER Purgatory: Happy Birthday, Robert Burns! I just finished Snow and Ashes. I loved it but I have a few questions. WHY THE HELL CAN JAMIE NOT CATCH A FIRGGIN BREAK!!!!! I mean all he wants is his family, and things seem to be going ok for him, he gets to see his grandson grow up and he gets to spend time his daughter after not seeing her for 20 years. He got to see his daughter and son together but had to watch from a widow. I swear I canna stand it! I hate that Bree and Roger had to go back! I dinna like it one bit! Jem needs his grandsire! When Jamie told Jem about seeing a rat I dinna get that. Did I miss someting? I thought it was so sweet that the only thing Jamie got out of the fire was the wooden snake and I loved when Bree and Roger opened the box and it was there for Jem. Anyway I just needed to get some of that off my chest. MollyK--agreed, Jamie is VERRA Job-ian in many respects. Re: Jamie/Jem, are you talking about the "if you ever meet a mouse named Michael" part? If so, that was a reference to an earlier conversation Jamie had with Bree, where she described Disneyland and told him about Mickey Mouse. And BTW, that part with Jamie/Jem is probably a top five crying moment of the series for me--OMG, sooooo poignant! Aw geez, now I'm all sniffly remembering these parts! Me too AdNorth - and I knew Tracey would weigh in on "a mouse named Michael". That may be her favorite part in the whole series. She even set it to music! Meanwhile in Robert Burns land, Robbie--despite being regarded as Scotland's national poet--led a rather messy, self-indulgent personal life...elevated principally through his membership in the Masonic Order and most fittingly celebrated with a whiskey toss. @MollyK (annonymous).I just finished Snow and Ashes too! I had some questions also and sniff sniff moments also... lots. Like Bree and Roger and the kiddos leaving. Boooooo! And can Ian catch a break too? I <3 him! Maybe we need a first time read of "Echo in the Bone" support group, to deal with speculations and WTF moments. I hear this is another of the books that occasionally gets thrown.